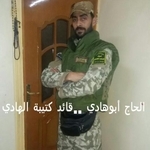 Liwa al-Imam al-Mahdi (The Imam Mahdi Brigade) is a group set up by Hezbollah to recruit Syrians. 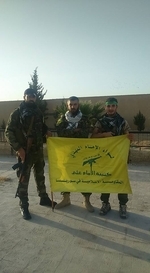 In this regard it is rahter similar to Quwat al-Ridha which was also set up by Hezbollah and primarily recruits Syrian Shi'a from the Homs area. 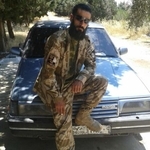 Apparently consisting of at least two battalions (the Imam Ali Battalion and the al-Hadi Battalion), Liwa al-Imam al-Mahdi has fought in a variety of places including Deraa, Quneitra, Aleppo, Ghouta (Damascus area) and the Ithiriya-Raqqa route.